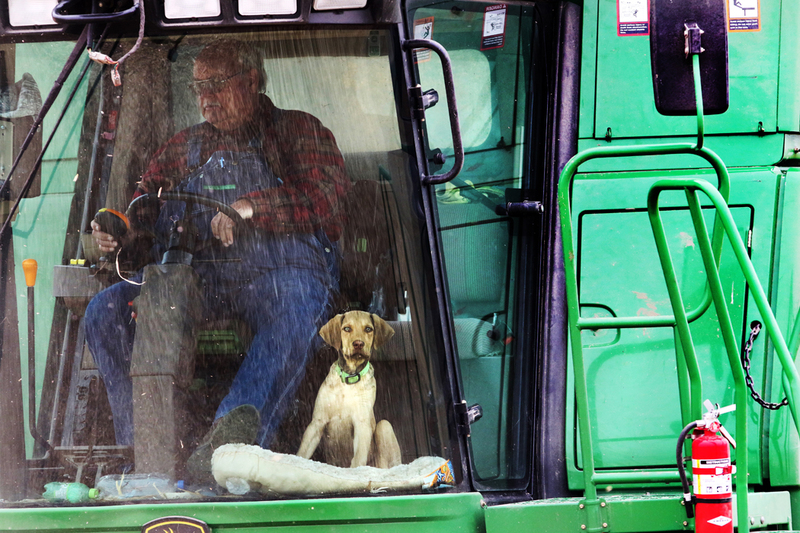 Jeff Quist and his Chesapeake Bay retriever pup Mickey harvest corn along Dixon Road north of the Blair bridge Monday. 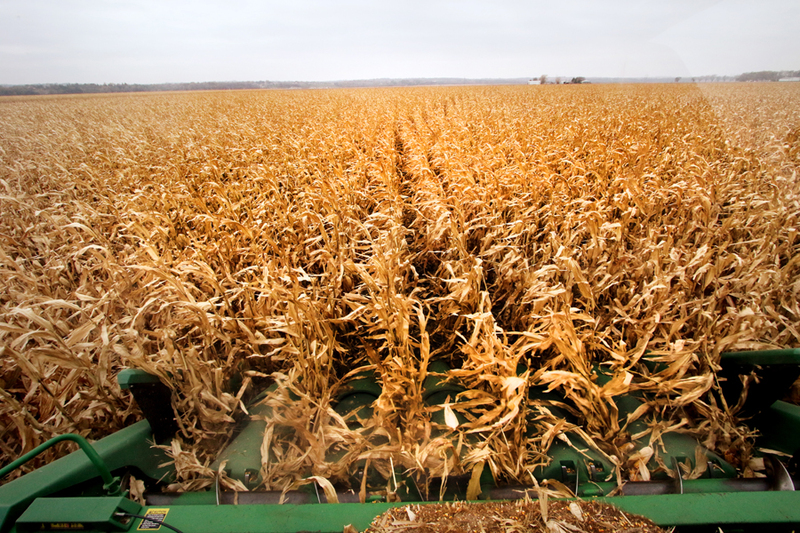 While the cold weather will slow down the harvest, Quist expects to be done before Thanksgiving Day. One day before the cold and snow hit the area, Jeff Quist and his Chesapeake Bay retriever pup Mickey were finishing up harvesting an area along the north-east edge of Blair. He was hoping to finish up the rest of the remaining fields near Spiker before Thanksgiving. 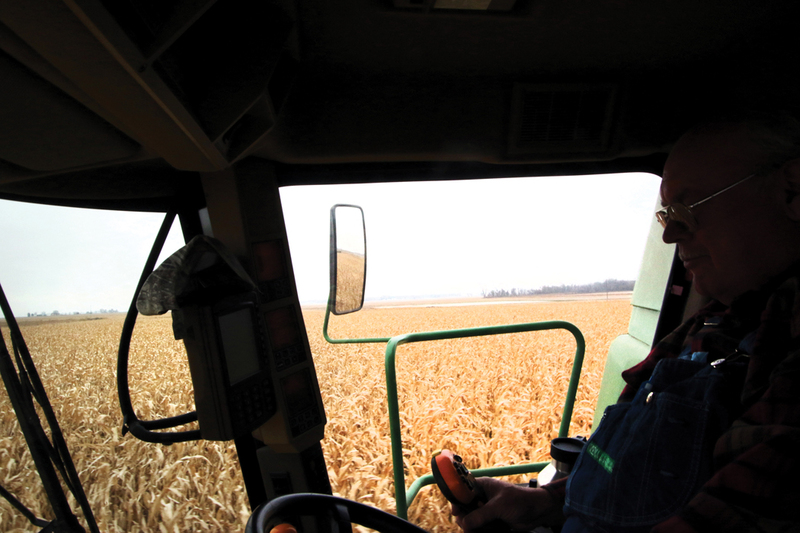 Jeff Quist pilots his combine through cornfield. 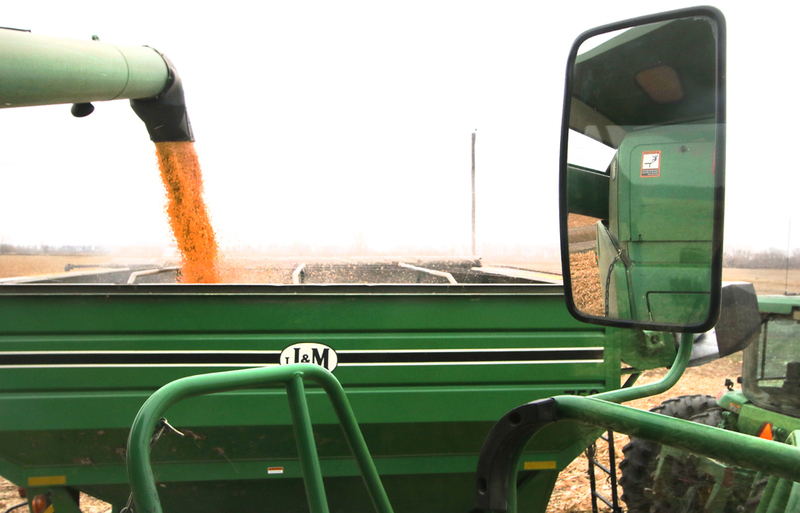 Unloading corn from combine into grain cart.